Television series that he has created, developed, written for or run include The X-files, Millennium, Strike Back, Night Stalker, Hunted, The Man in the High Castle, Medici: Masters of Florence and The Indian Detective to name a few. That streak continues with the series Ransom. 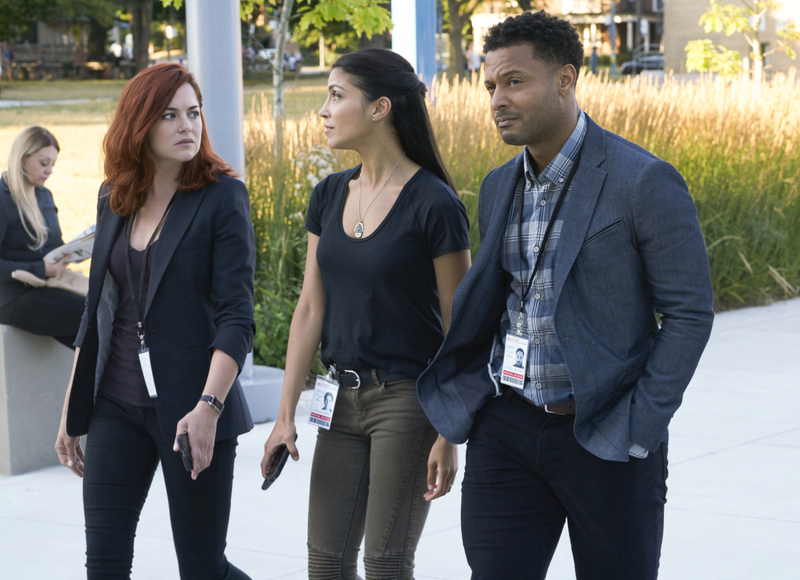 Ransom, created by Spotnitz and David Vainola, follows crisis and hostage negotiator Eric Beaumont and his team as they travel the world and help negotiate challenging kidnap and ransom cases. The series is based on real-life negotiator Laurent Combalbert and his partner, Marwan Mery. We sit down with Frank to talk about the series and what fans can look forward to with the second season of Ransom. 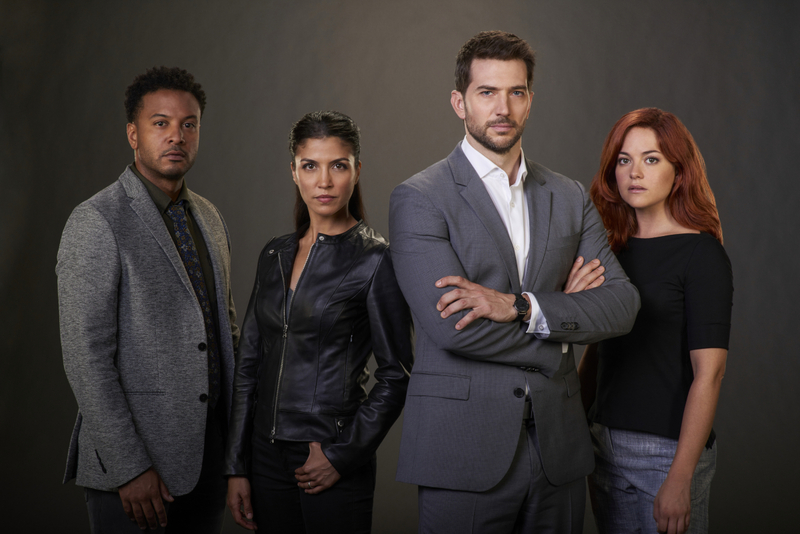 Pop Culture Principle - Originally, CBS had cancelled Ransom, then backtracked on its decision and renewed the series for a second season. Can you talk about what happened with that situation if possible? Frank Spotnitz - Actually, that was a misunderstanding that got picked up in the press and then spread. CBS never cancelled Ransom, they just were not able to renew it when they were making their other announcements last May because the show had not finished airing in France. I attempted to correct the story, but once it got out there, there was no pulling it back. Pop Culture Principle - What has your experience been like with producing a series for four networks as opposed to producing a series for one network like The X-files? Frank Spotnitz - Hard! I wouldn’t recommend it to people who don’t want to pull out their hair or see it turn gray. We had terrific partners, but four broadcasters giving notes on every treatment, every script, every edit, is simply too many. Even when they essentially agree on 80 percent of their notes, the work of having to address, manage and coordinate so many different creative voices is deeply challenging. Having only two networks this season has been an absolute pleasure. Pop Culture Principle - Looking back on the first season of the series, do you feel you accomplished your goals for the season and were you happy with the show's direction? 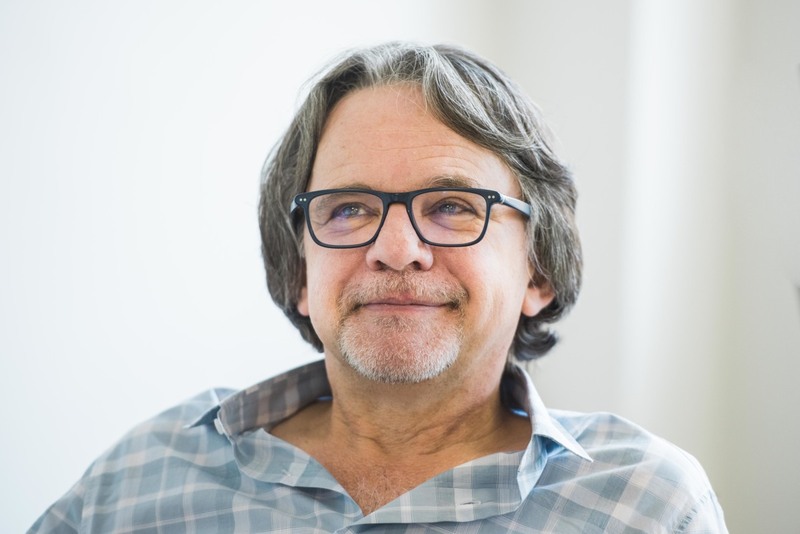 Frank Spotnitz - I’m never satisfied with anything I do, and the joy of episodic television is that you can keep learning and improving. But I was really pleased with the first season, which I think did a great job of defining this world, and Eric Beaumont’s unique and profoundly interesting non-violent approach to conflict resolution. The thing I was most pleased with, however, was our terrific cast. Luke, Sarah, Brandon and Nazneen became fast friends, and their chemistry showed from the first episode. Our cast is really our secret weapon in this show, and we made a point of better exploiting that in Season Two. 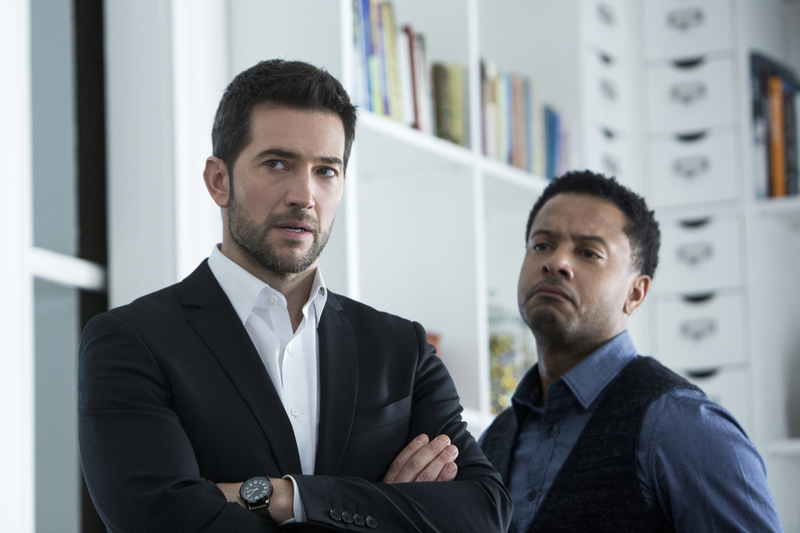 Pop Culture Principle - What would you say is the biggest difference between Season 1 of Ransom and the current Season of Ransom? Frank Spotnitz - After we recognized what a terrific ensemble we had, we determined to lean into their strengths. We found ways to make our stories more personal and more emotional. Our cast is just terrific to watch. I think our storytelling became more comfortable and more confident this season, and we were able to tell a much wider variety of stories than we did in Season One. It’s been a terrific year. Pop Culture Principle - Season 2 of Ransom picks up right after the events of the Season 1 finale. For the first time, we see Eric Beaumont off his game, just a bit, because of the abduction of his daughter. How important was it for you to show another side of this character in dealing with the abduction of his daughter by Damien Delaine? Frank Spotnitz - Eric is so controlled, and we really relished the opportunity to show him vulnerable, angry and afraid. And Luke is a master of subtle shading and nuance – you see so much in his eyes, and he understands that even the littlest gesture means so much when coming from such a deliberate character. It was also an opportunity to see how Delaine tries to divide and destroy the little family that is the team. In a very different way, it was like when Freddie Woods attacked the team in “The Enemy Within” last season. It’s very powerful to see them unite in the face of adversity. Pop Culture Principle - Something tells us that we haven’t seen the last of Damien Delaine? Frank Spotnitz - There is a very good chance you will see him again before the end of the season! Pop Culture Principle - Actress Karen LeBlanc will be joining the Ransom cast this season. What can you tell us about her character Cynthia Walker? Frank Spotnitz - Cynthia comes from a very different background than the rest of the team, having been a lawyer who turned to negotiation later in her career. We wanted someone who would have the same kind of confidence, intelligence and humor, but could meet Eric more as a peer. And Karen is just a terrific actress. Pop Culture Principle - We are starting to see more of the team’s backstories which adds dimension to the characters. Will we see more of this in Season 2? Frank Spotnitz - Yes, we learn more about everyone on the team and their personal lives in this season. It’s been great fleshing them out and seeing more of their personal lives. Pop Culture Principle - Many times in these ransom situations, what the person wants who is holding the victim hostage is very different from what they initially demanded. Would you agree with that? Frank Spotnitz - Yes, and that was one of the key insights we learned from Laurent Combalbert and Marwan Mery, the real-life negotiators who inspired the series. What people want is invariably different from what they need. It’s like the old Rolling Stones song. Eric’s job is to get the “bad guy” to accept he can’t give them what they want, but what they need. Pop Culture Principle - One of the interesting things about this series and the real-life negotiators is that many of these cases are handled and resolved with no media attention. How important is the lack of coverage for these cases? Would you agree? Frank Spotnitz - That’s absolutely true. There are tens of thousands of these cases going on all over the world every year and they rarely if ever are reported. The good news is that they are so often resolved without violence or loss of life. Pop Culture Principle - How has the technology today changed the job of the negotiator compared to 10 or 20 years ago? Frank Spotnitz - It’s a good question, but I’d have to defer to Laurent and Marwan about that one. In our series, we’ve seen how technology can both help negotiators, making it easier to communicate and gather information, and at times make their jobs harder, masking the identity of whoever’s making a ransom demand. Pop Culture Principle - The series is inspired by real-life negotiator Laurent Combalbert and his partner Marwan Mery. Are they still consulting on the series and what do they think of Ransom? Frank Spotnitz - They are still consulting and hugely helpful. I think it’s fair to say they are fans! Pop Culture Principle -Luke Roberts said in an interview that the negotiator's job is to quiet down the white noise and select the essential information. Would you agree with that? Frank Spotnitz - Yes, and that’s the most impressive thing when you meet someone like Laurent or Marwan. You have this feeling that you’re being exposed – that they can see through the façade you’re presenting into who you really are, what you really want and need. It’s a skill they have developed over time and a huge asset in their line of work. Pop Culture Principle - What can fans look forward to with the rest of the second season of Ransom? Frank Spotnitz - I think we have some fairly surprising character developments and changes in store, and an explosive finale. I can’t wait! We would like to thank Frank Spotnitz for taking time out of his busy schedule to talk with us about Ransom. You can catch new episodes of the series every Saturday night at 8/7c on CBS. If you would like to keep up with all of Frank's latest news and projects, you can visit the official Big Light Productions website here.